paintingandframe.com is one of the largest giclee printing companies in the world experience producing museum-quality prints. 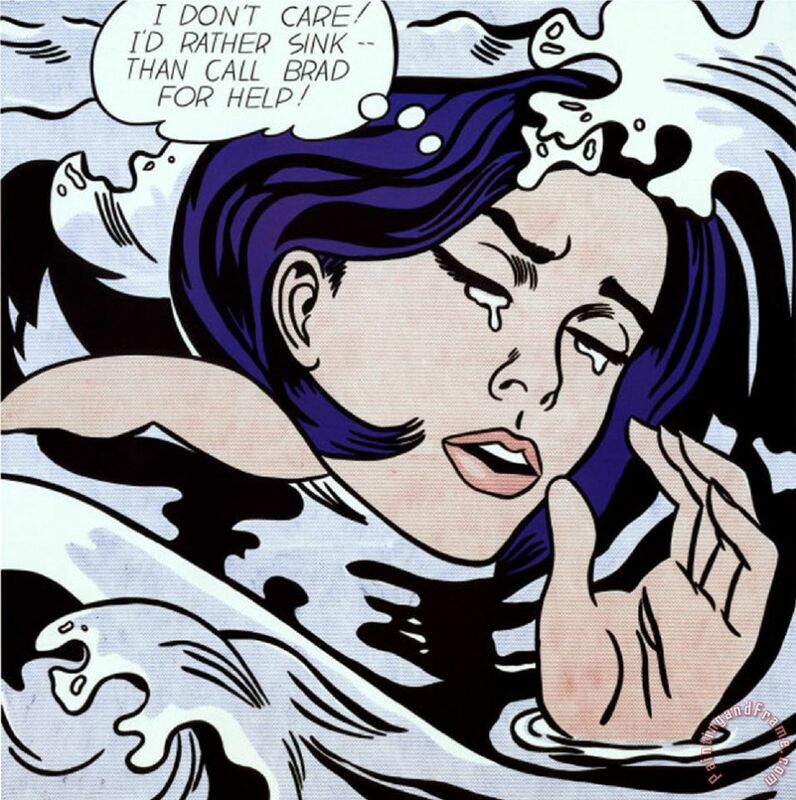 All of our Roy Lichtenstein Drowning Girl prints are waterproof, produced on state-of-the-art, professional-grade Epson printers. We use acid-free cotton canvas with archival inks to guarantee that your prints last a lifetime without fading or loss of color. Roy Lichtenstein Drowning Girl art print includes a 2.5" white border to allow for future stretching on stretcher bars. Drowning Girl prints ship within 2 - 3 business days with secured tubes.